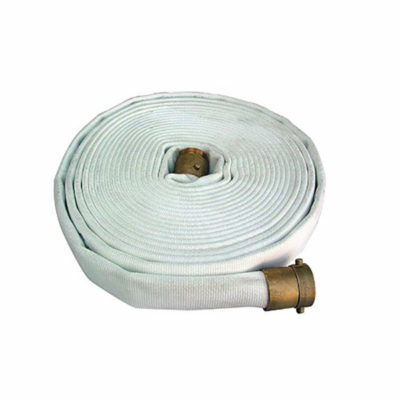 Fire Hose is available as synthetic, EDPM lined in varying lengths and connections. 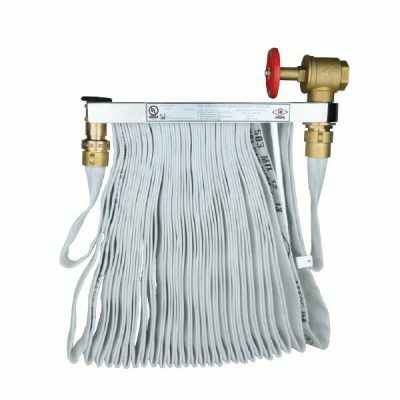 A fire hose coupling is a connector on the end of a hose to connect (or couple) it with with a tap or a hose appliance. 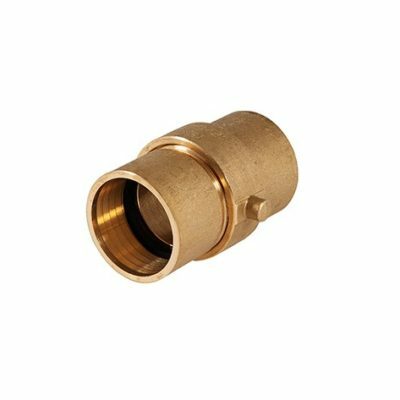 It is usually made of steel, brass, stainless steel, aluminium or plastic. 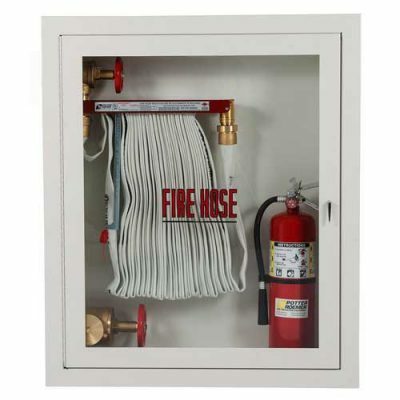 Fire Hose, Valve, Extinguisher Cabinets are designed to house a single hose, valve, or extinguisher or the combination of the three. 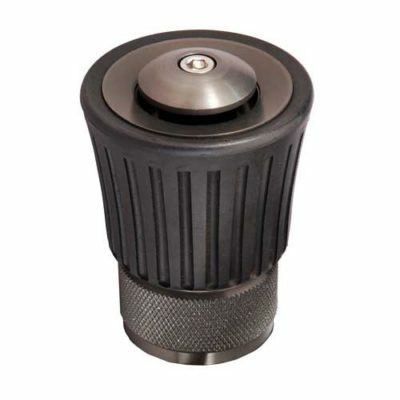 Fire Nozzles are available as: adjustable, all fog, power fog, polycarbonate fog, straight stream, variable gallonage.